Bill serves as Tuscan Gardens® Chief Financial Officer and Chief Investment Officer, heading up financial services, responsible for institutional investor relations and capital allocation. Over the course of his career Bill has raised and invested more than $1.5 billion of capital in various forms ranging from private equity to structured debt. He brings deep rigor and discipline to our team based on his extensive multi-sector institutional real estate finance, development, and operations experience. Bill’s domestic and international leadership background leading high-growth teams as a strategic partner to Fortune 50 companies brings relevant growth expertise to our mission. 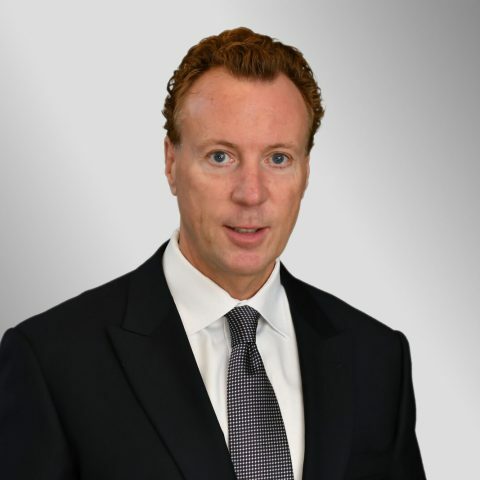 Prior to joining our team, Bill served as Chief Investment Officer at Unicorp National Developments, a leading developer of retail, mixed use, and multifamily properties, EVP Corporate Development and Interim Chief Operating Officer at Digital Risk, LLC, where he delivered over $11mm of annual operating margin growth through operational improvements and supported the 2012 sale for $175bn to Mphasis Ltd., (an HP Company), and Chief Operating Officer at Liberty Investment Properties, Inc., where he led national hotel development programs with Goldman Sachs and Angelo Gordon. Bill started his public accounting career as a financial modeling specialist and IT systems specialist at PriceWaterhouse Coopers, LLC. He has held various global corporate finance roles which include North American Chief Financial Officer, Managing Director of Global Financial Services and head of North American Real Estate for London-based multinational Tibbett & Britten Group, plc through the growth of its North American operation from a startup to over 11,000 team members handling $35 billion of goods annually. Bill holds an Executive MBA from Harvard University, Master of Accountancy, and Bachelor of Commerce degrees from McGill University. He is a Certified Public Accountant (Illinois) and Chartered Professional Accountant (Canada).